Usually all supplies to European countries are performing on FCA or DDU/DAP basis. Delivery to Asian and Middle East is performed by 40' HC, 40' DV or 20' containers on FCA, FOB, CPT or CIF basis. Delivery of products to European countries is performed by motor-car transport (semitrailer, awning, l = 13.5m, ~20-21m3 of hardwood logs or fresh lumber, ~26-28m3 of KD hardwood lumber). 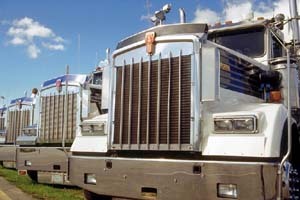 Above-mentioned prices are estimated and can be different up to 15%, depending on season, costs for passage, terms of payment and certain truck company. Please contact us to get actual quotation on freight costs.